Bring Quantum Levitation and Locking to the people. 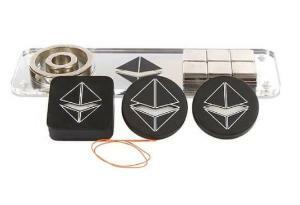 The ultimate outreach package for Quantum Levitation and Quantum Locking. The kit contains portable easy-to-use experiments to be taken outside the lab and allow an hand-on experience with Quantum Levitation.